This is a blog entry about my mother Nedra and her Noritake china that she acquired when she was a young married woman. The above picture is of my mother and her best friend and cousin Ella. 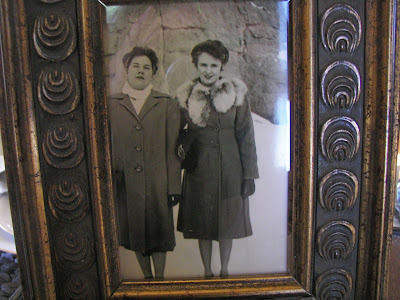 Ella is on the left and my mother Nedra is on the right in the fur collar. My mother's name is Nedra. She was born in Southern Utah in 1925 in the little town of Tropic, Utah. She died in 1990. Tropic is very near Bryce Canyon National Park. 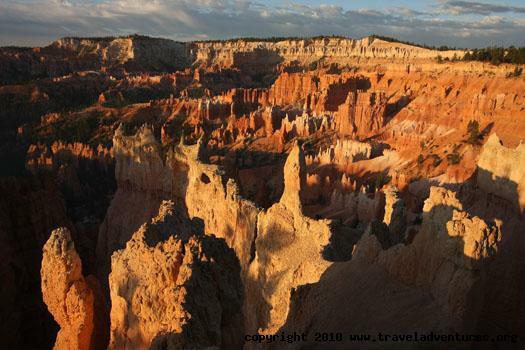 In fact, there are some trails that you can take to get to Bryce Canyon from Tropic. 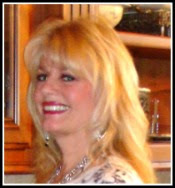 I note that she was from Utah because there are many unusual names, like Nedra, originating in Utah. As a side note, my mother once dated a boy named Arden which coincidentally is Nedra spelled backwards; she did not marry him. My mother talked about Side Hill Galoots and Wim Wams that used to roam near Bryce Canyon -- fictional animals they talked about. Imagine having an amazing National Park in your backyard! A shot of Bryce Canyon National Park at sunrise. When my mother's brother was stationed overseas for military service, my mother had her brother buy her a set of Noritake China. After World War II, sales of china dishware from Japan helped their economy recover from the ravages of war. Many servicemen stationed overseas brought china back to their loved ones. The marking on the backside of Nedra's Noritake. 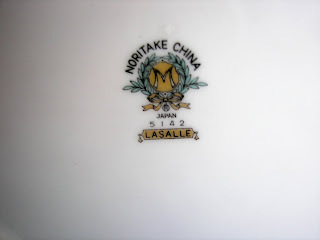 My mother's Noritake pattern is LaSalle. It was produced in Japan from 1950 to 1955. On her china marking you can see an M in the middle of the laurel wreath. Until I looked closer, I always thought that the letter was an N for Noritake. In 1953 the Noritake company changed the letter enrobed by the laurel wreath from M to N. The letter M stood for the Morimura brothers who started the Noritake Company. So because there is an M on her marking, her china was made in 1950, 1951, or 1952. I do not believe my mother was able to pick out her china. When I was younger I did not appreciate this set of china. After both my parents died and we were dividing their possessions, I almost didn't take the china. I am so glad I did because I have grown to love this china. The flowers and leaves are what I would call taupe-colored. I don't know, maybe there are light brown? To me this china has a slightly Asian feeling and I went with a slightly Asian theme for this tablescape. 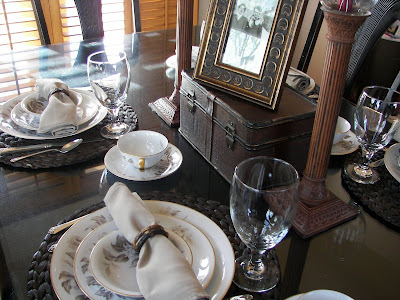 I loved how using placemats and bamboo napkin holders created a more modern feeling for this tablesetting. I began with these placemats I found at Wal-Mart. I then added the dinner plate. I love the large floral design on the plate. I added a salad plate. I added a fruit bowl. I liked these taupe colored napkins with the bamboo napkin holders. I wanted a closeup of the tea cup. I love the gold handle and the flowers inside the cup. We don't drink coffee or tea, but I added it because I think the cup is very pretty. So here is a full view of the tablesetting. I brought some candlesticks in and some mini decorative luggage that I think enhance the tablesetting. I also feature the picture of my mother and her cousin Ella. Here is a side angle view. I used my sterling, the Damask Rose pattern by Oneida. I wonder how this tablesetting would look with gold silverware to coordinate with the gold rim on the china. My mother used to have a single set of gold silverware that she would put out at the birthday person's placesetting. My mother's china set includes a lovely covered vegetable bowl, a footed gravy boat, two serving platters, and an oval serving dish. It also includes bread plates and soup bowls. I will feature some of these on a later tablesetting. Thanks for dropping by and visiting Nedra's Noritake! 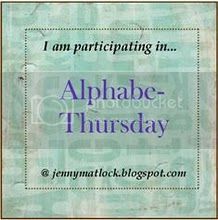 I am posting this with Jenny Matlock's Alphabe-Thursday where the letter of the week is "N". 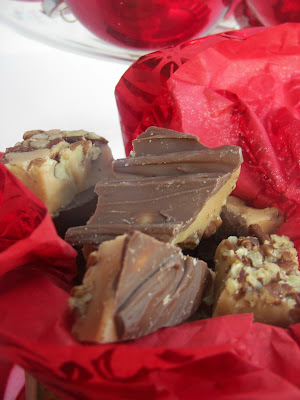 Click on the link below to find other fun and thoughtful entries. I am also posting this with Susan at Between Naps on the Porch for Tablescape Thursday. Come join the party and view amazing tablescapes! What a wonderful table!! Love the browns and that fabulous china! Plus, you have arranged everything so nicely with the photo...gorgeous!! Such lovely china with such a great history. I'm glad you got it! That china looks so nice on your table the way you set it up. How nice that you have your Mom's china to use. The China is beautiful. I'm glad you decided to keep it. Too funny about your mom's name and the guy she dated. I love the Noritake too. 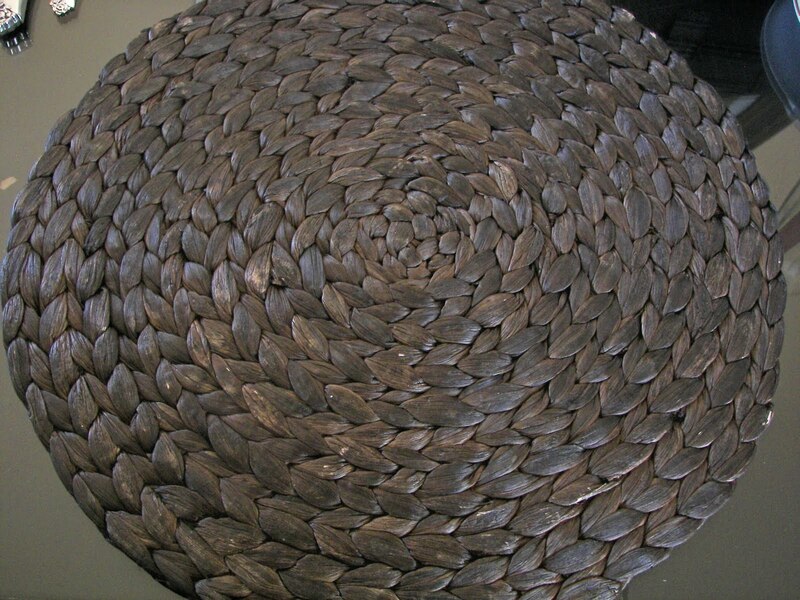 That is a lovely pattern. i do not think I have seen it before thanks for sharing the story of how your mother came by it. My china is Noritake also. Your mother's is so lovely and makes a beautiful tablescape. Oh it's lovely and I have been craving a set of brownish flowerly dishware. All of my dishes are collected, not handed down so I really appreciate the history. Thanks so much for posting this. Our wedding china is from Noritake also. I had no idea that the letter M stood for the Morimura brothers on older Noritake! Thanks for sharing this. I love your tablescape too! I am off to check out your daughter's blog. My 13 year old daughter would love to see it too I'm sure! oh, that's lovely china. i wish they made patterns like that today. it's stunning, really. thanks for sharing. Joni, what beautiful china! And what a great bit about your mom. So fun to read. You are amazing. Beautiful story & beautiful china! What a lovely post this was. 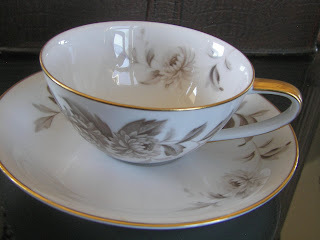 Thank you for sharing Nedra's Noritake. I find china patterns and their place in family history/lore fascinating. 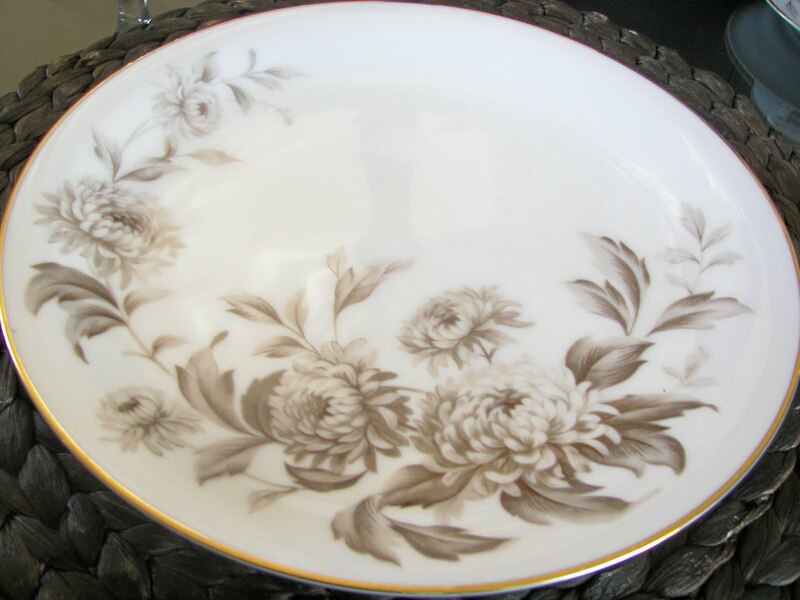 it's so good that you came to appreciate this china pattern! It's lovely, but the earth tones keep it from feeling too fussy. Nice N! I love the set. You have made great additions to the place setting. 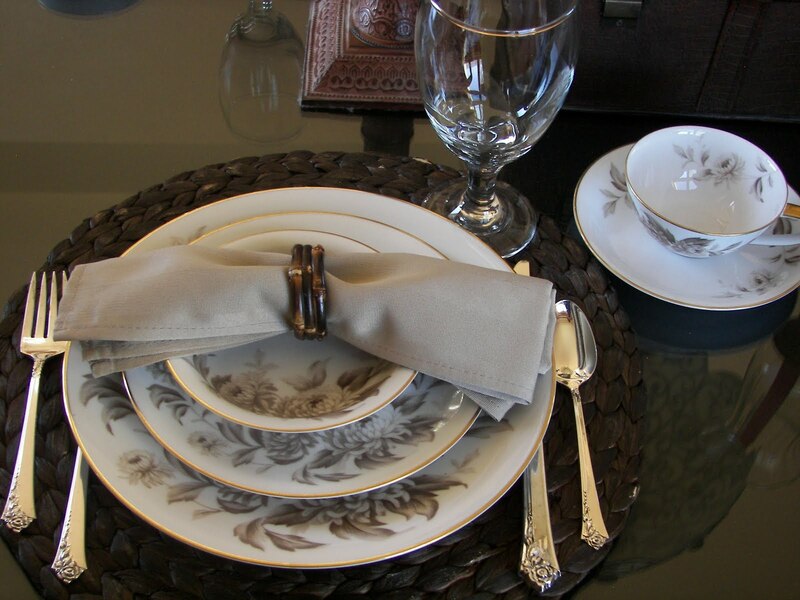 Oh, you have styled your treasured china so beautifully! It looks so modern with the rustic placemats and subtle napkins. LOVE the idea for the centerpiece! I will look forward to seeing you use this china on another table soon! This is a beautiful tablescape -- oh how precious those dishes must be to you! Joni, your Mother is lovely. That picture in the fur color is just lovely. 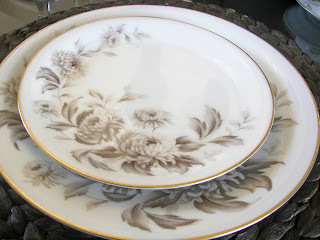 That Noritake pattern is charming. I did not know that M/N fact before so thank you for sharing that. 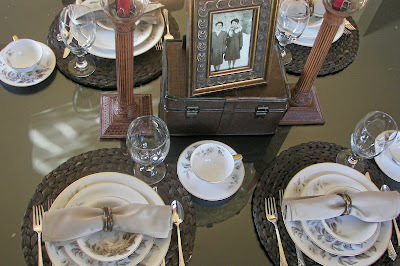 I can understand why you adore these dishes every nychthemeron and your tablescape is lovely. Thank you for a lovely stop on my journey through Alphabe-Thursday's Letter "N"! So pretty and I love the history you shared! Love your centerpiece too! What a pretty pattern on your mother's china. Beautiful table. Hi Jani. What a lovely story on your heirloom. I can imagine, a young women would hardly pick out this taupe decorated china. But as you see now, it's truly a very elegant pattern and needs just to be set in the right szene, as you did. Those chrysanthemum are also used as a symbol for immortality and perfection in Japan. And so it is included in the family crest of the Imperial family of Japan. 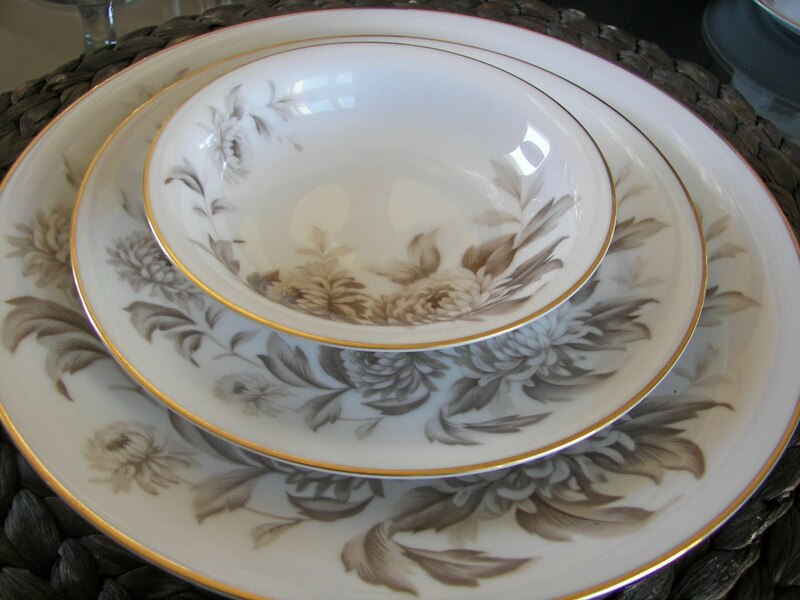 This Noritake goes perfect with your napkins and the bamboo rings and as well with the place mats. And I love your centerpiece. Your Mom would have loved it, too. That looks just lovely. My mother also has Noritake, in a yellow/gold pattern, with gold trim. My sister and I are fighting over who gets it...but meanwhile Mom continues to run it through the dishwasher which is just killing us as it eats away more and more of the gold trim...sigh. that is really beautiful china...i am so glad you enjoy it now. I have some of my grandmother's china and I treasure it. BTW, I have a national forest kind of in my backyard and it's such a blessing! What a sweet post for alphabet Thursday! I am glad you have grown to love your Mother's noritake China. It really is lovely the way you have it displayed. Stop by to read mine if you get a chance. Great N Post! I think the china is lovely, and I liked learning about them. This is a lovely idea! You gave this table such an elegant unique look:) I am planning a tea and I want to use all different china patterns...you have great ideas! I love this china.......I also love nedra's story and Bryce canyon ......all are beautiful. You're right, the bamboo and other Asian touches give this timeless pattern a much more modern feel. Very pretty!